Eden Hazard only featured for the latter half an hour of tonight’s game with Slavia Prague, but he made the most of it. The game was supposed to be easy, up against players of a significantly lower class than us. Instead it turned into a bit of a nightmare, with the starting lineup unable to make any headway against our tough Czech opposition. 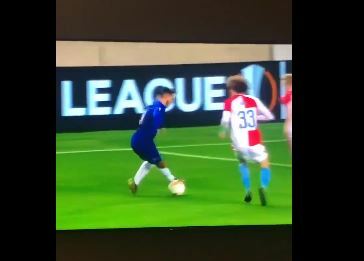 Of course, the moment we brought Hazard on, he reminded us exactly who we were up against, dropping this tasty nutmeg within moment of arriving on the pitch. That seemed to wake the rest of the team up, and we eventually got the goal we needed – but didn’t really deserve.